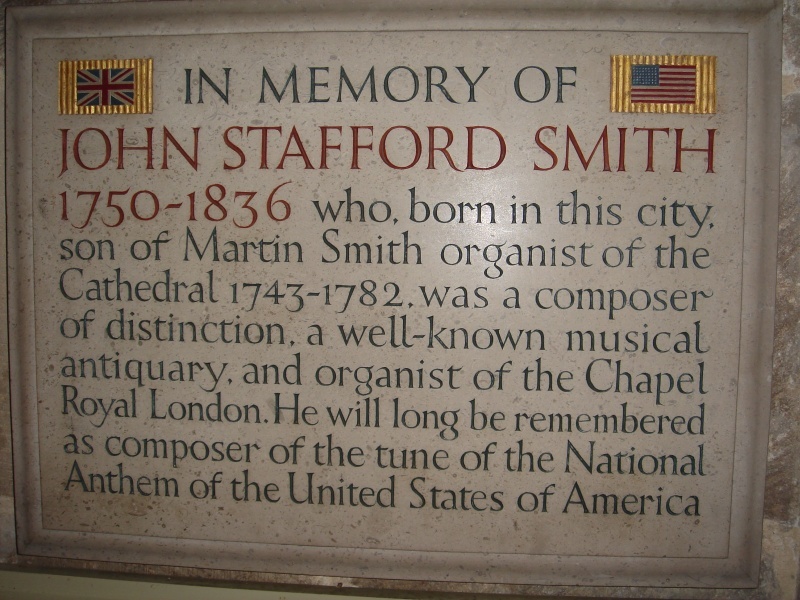 The national anthem of the United States of America was composed by John Stafford Smith, born in Gloucester, Gloucestershire. Smith was baptised in Gloucester Cathedral, England on 30 March 1750. Smith was elected as a member of the select Anacreontic Society who's members included such persons as Samuel Johnson. In the 1770s, Smith composed music for the society's constitutional song entitled To Anacreon in Heaven (The Anacreontic Song). 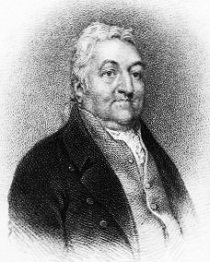 The words were by Ralph Tomlinson (1744–1778). The song became popular in Britain and America following the establishment of the Anacreontic Society there. It became the tune for the American patriotic song The Star-Spangled Banner following the War of 1812, and in 1931 was adopted as the national anthem of the United States of America. The lyrics come from "Defence of Fort M'Henry", a poem written in 1814 by Francis Scott Key. To Anacreon in Heaven was also the national anthem of Luxembourg until the anthem was replaced by Ons Heemecht in 1895.